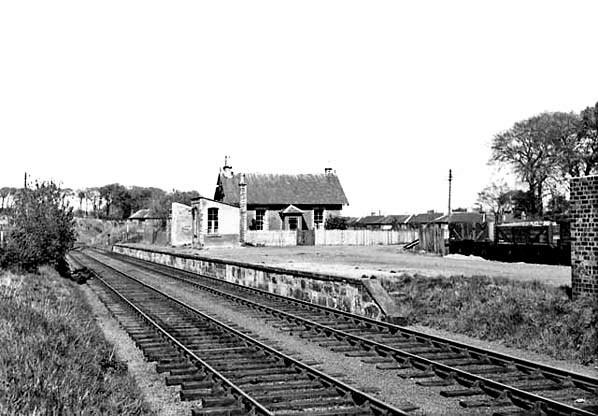 Glencorse station looking north in April 1955. Glencorse Barracks are seen in the background. With the exception of Gilmerton, all ELR stations had a similar stationmaster's house at right angles to the station building.